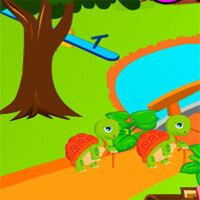 AVM Comely House Escape info about the game-Games2Rule. All your friends are very jealous and stopped talking with him; only you remained a good friend. He appreciates that you can understand how big a deal this is, so he invited you to see his house and spend a nice evening together. You happily accepted the invitation and went to his house. Your friend told you that he would go and buy some drinks but he never returned and you are locked in the house.